One year into his (reign? tenure? service? ), Pope Francis has easily become one of the most popular figures in the world of religion and outside of religion. The guy is everywhere – cover of magazines, on 60 Minutes, all over the web. Despite what you might hear from one of these articles or pieces on Francis, his popularity is not due to his presence on Twitter or his embracing of modernity but largely due to one thing – humility. From the first day on the job as Pope, Francis has expressed humility. 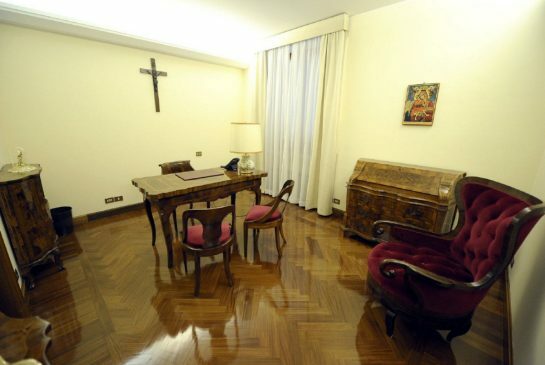 He dismissed the lavish luxuries of the Papal residency for what amounts to a hotel room. During Holy Week, instead of ceremoniously washing the feet of his subjected Cardinals, as many before him had done, Francis washed the feet of inmates in prison. There are many photos of him kissing disease ridden or unpleasant individuals. He has demonstrated a truth that few would ever consider – leadership and influence is possible through humility. Where did Francis learn this truth? From the person who introduced the world to the power of humility – Jesus Christ. 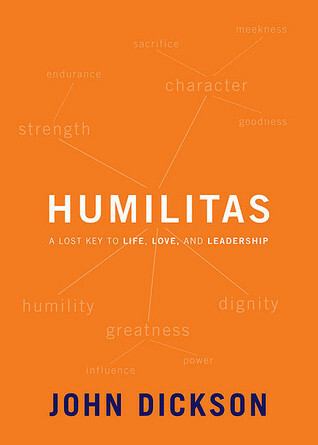 John Dickson, in his book Humilitas, accurately and effectively makes the historical point that before Jesus the idea of humility (“being made low”) was something to be avoided and not honored. The Jesus revolution brought about a people and a mindset that sought out humility and saw it as a way to not only emulate their Master but as a way to a better life, a more rewarding and loving life. Dickson’s main focus, though, is to present humility as a key trait to effective leadership. He frequently mentions Level 5 leaders made famous by Jim Collins’ book, Good to Great. These leaders, as Collins mentions, and Dickson emphasizes, have a “paradoxical blend of personal humility and professional will.” He makes the point that humility is persuasive and can be very influential on followers. The idea being that brash, attention grabbing, and egotistical leaders may force their will and way on others but only humble leaders create followers and have deep influence. Dickson’s book came out in 2011, well before Pope Francis became Pope in 2013. But I can think of no better poster child for the power of humility, as expressed by Dickson. I am sure that Dickson would agree. What is so surprising about the virtues of humility is how much they make sense as a way of life. Jesus showed us the common sense aspect of humility and now Pope Francis and others, are putting it into action. Lets hope that this brings about a rise in humility for our time.